If preconceptions can be dangerous, then first impressions made in the wrong minds can be fatal. Some individuals, probably like you, possess a particularly incisive sense of judgment. They can meet someone for the first time and, with little to less interaction, form a startlingly accurate portrait. Having such keen powers of observation must be equal parts blessing and curse. When you, a Sherlock Holmes of social deduction, meet someone you fancy, it’s likely a quickly gratifying experience. On the other hand, when you see a fraternity-bred, collar-popping, twentysomething dudebro approaching you at a social gathering clutching a Miller Lite and a palpably overinflated sense of self-worth, your mind likely scrambles for excuses to exit a conversation that has yet to begin. The bathroom’s always a good standby, as is your significant other. Maybe you could grab another drink, but your comfortably full glass of alcohol or sensibly full glass of water (savvy choice, designated driver) belies any such need. Before you can decide, Todd, the Ralph Lauren Polo-wearing ex-college jock, unswervingly smug grin on his face, is disgorging inanity in your general direction, and you have no choice but to be politely engaged in discussion. That is, you were expecting inanity to emerge from behind Todd’s orthodontically perfect teeth. Opening throwaway comments about the local sports team aside, it turns out Todd was a double major (philosophy and economics) in college, is in the midst of earning a Ph.D., and spends a great deal of his free time volunteering for community-service organizations, a byproduct of his time living and teaching English in a small Vietnamese village before attending graduate school. Based on his deeply self-deprecating sense of humor, his smug expression is likely more ironic than genuine as, mildly embarrassed, he goes on to explain that the Polo shirt was a gift from his vain and elitist older sister, and the last clean shirt he had. Todd’s Miller Lite, the last vestige of the dumb-jock caricature you mentally assembled for him -- the only beer he’ll drink tonight, mind you -- is due to his conscientious management of his Type 1 diabetes. Stupid hyperglycemia. Still, there’s no need to entirely discount your impressive if occasionally faulty judgment. Nine out of ten times, you’d have been spot on -- and likely spat on, courtesy the next Todd’s emphatic recollections of that fourth-quarter touchdown pass, or his drinking escapades of the preceding Friday evening. But not this time. 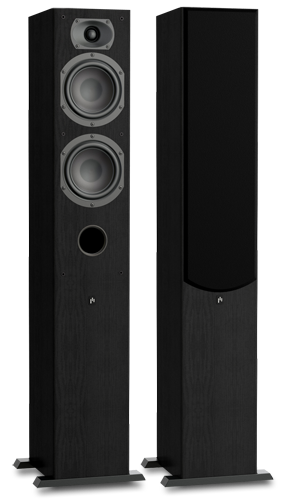 My most recent Todd was Aperion Audio’s Intimus 5T loudspeaker, which Aperion sells for $395 USD each ($790/pair). My heart rate remained comfortably low as I read its dimensions: 38"H x 6.3"W x 8"D and weighing 28.5 pounds. It appreciably lowered when I saw that the two-way tower speaker has a 1" tweeter that’s crossed over to a pair of 5.25" midrange-woofers at 2.5kHz, for a claimed frequency response of 55Hz-20kHz, ±3dB. The silk-dome tweeter uses a neodymium magnet, while the midrange-woofers’ cones are made of woven fiberglass. The Aperions looked like a step down from the sound I’m used to hearing in my listening room from my reference Mirage OMD-28 loudspeakers. The e-mail I received from Aperion announcing their shipment to me left me even more wary: "We all sang a song of farewell and blew confetti about the warehouse. Then we packed your speakers on the truck, snapped to a smart salute and sent them on their way. . . . Cheers and happy listening, The Aperion Audio Gurus." Skepticism. Deepening. Quickly. The lithe tower speakers, with a very generous ten-year warranty, arrived well packaged, and accompanied by custom cast-aluminum bases, footers, and floor spikes that were quickly and easily installed. The 18mm-thick MDF cabinets were covered in a near-perfect Medium Cherry finish that reaches decidedly upmarket. I placed them 8’ apart and 2’ from my front wall, and at first left off the included grilles, as I do with most speakers, so as to admire their design. In the 5T’s case I found that leaving the grilles on slightly softened the tweeter’s sound, for better synergy with my partnering review equipment. Aperion kindly provides various measurements for the Intimus 5T on the speaker’s webpage, including one measuring the grille’s effect, which indicates a dip of 1-2dB in the treble with the grilles in place. The fact that the 5T is a front-ported bass-reflex design allows it to be placed closer to the front wall without some of the low-frequency boom that can occur with rear-ported designs. 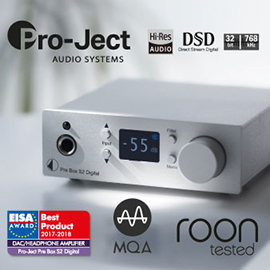 The 5T’s claimed specs include a sensitivity of 89dB, a nominal impedance of 6 ohms, and recommended amplification of 50-200W, making a solid-state amp ideal though not required. 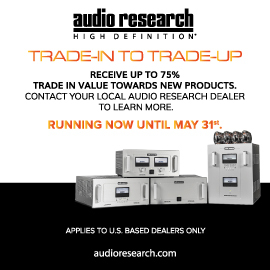 While I broke in the Aperions with a Musical Fidelity M6 500i integrated amplifier, I evaluated the Intimus 5Ts using Peachtree Audio’s Power220 amplifier partnered with the preamp section of my Krell KAV-300il integrated, connected with a ten-year-old pair of MIT RCA interconnects. TEAC’s UD-H01 digital-to-analog converter served as my digital source, connected to the Krell via Nordost Blue Heaven LS XLR interconnects, and to my Apple MacBook Pro with DH Labs’ Silver Sonic USB cable. Nordost Blue Heaven LS power cords were used all around, while I opted for Dynamique Audio’s Caparo silver-and-copper speaker cables through the 5T’s single set of gold-plated, five-way binding posts. 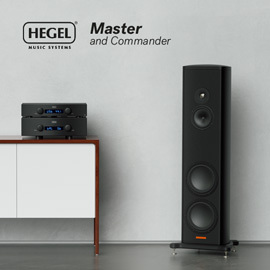 Predisposed to sneer at these sub-$800/pair tower speakers, I was surprised by what I heard after I’d broken them in. They sounded . . . big. The narrow and rather unassuming speakers threw out a soundstage that hardly seemed commensurate with their modest size, weaving the various sonic tapestries with which I challenged them to impressive scale. So too with their imaging abilities, which rendered individual voices and instruments with solid specificity; there was nothing ambiguous about what went where. My only initial reservation was that the 5T was bass shy -- that specified low-frequency extension of 55Hz sounded accurate. As time went on, however, it became clear the 5T shouldn’t be categorized as a small floorstanding speaker but as an able bookshelf monitor with built-in stand. I realized that my preconceptions about them amounted to mere prejudice. Recordings from the 1980s seemed particularly well suited to the Aperions -- back then, deep bass wasn’t nearly as favored by listeners as it is now. Vangelis’s music for Blade Runner (16/44.1 AIFF, Atlantic) proved a perfect starting place for my listening; "Rachel’s Song" was dreamlike on a grand scale, with surprising width and depth for such an inexpensive speaker. Mary Hopkin’s melismatic, siren-like voice, recessed slightly in the soundstage, had impressive airiness and focus. 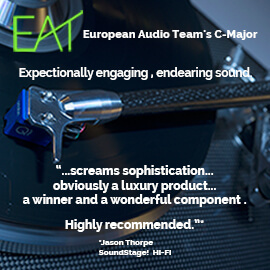 The 5T’s silk-dome tweeter struck a fine balance in this respect. 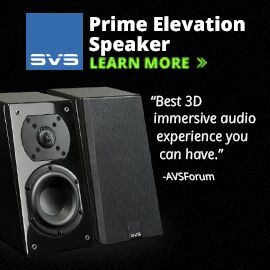 More expensive speakers, such as Aperion’s own Verus Grand Tower flagship, will likely get you a more resolving treble, and one that’s slightly more delicate and robust, but I imagine it unlikely that the 5T’s silk-dome unit would sound any less extended or exhibit inferior dispersion characteristics. Blade Runner contains one of cinema’s great soliloquies, "Tears in Rain." 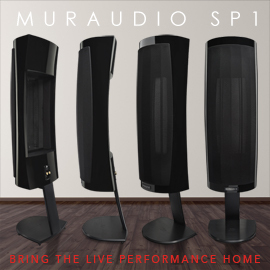 It stressed every aspect of the Aperion: from the rain falling in the far background, to Roy Batty’s (Rutger Hauer) heavy breathing before his final words, to moments of deep-reaching bass, the 5T delivered as broad and even a performance as one can expect for a sub-$800/pair speaker. Todd is most certainly in graduate school, if perhaps not one adorned with ivy. Fiona Apple’s excellent The Idler Wheel Is Wiser than the Driver of the Screw and Whipping Cords Will Serve You More than Ropes Will Ever Do (16/44.1 AIFF, Clean Slate/Epic) is a pleasantly raw and unfiltered recording, and "Every Single Night" highlights Apple’s signature vocal style and spare musical accompaniment. A xylophone plays opposite steel brushes on a snare drum as the native New Yorker’s voice quavers with nervous authority. Stereo separation between the instruments was readily apparent, and tonality was close to neutral. While Apple’s voice was rendered with a fair bit of resolution, I felt that her voice lacked the vigor and heartiness I’ve become accustomed to hearing from this track. This may have had something to do with the class-D amplifier in the Peachtree Audio Power220, which I’ve noticed leans more toward edgy than rich, but I also heard this characteristic through Musical Fidelity’s aforementioned beast of an integrated. The result was that the Aperions sounded slightly lean from about 1kHz on down, with some voices and instruments lacking weight and authority. This may prove a bigger deal for fans of more raucous music. With something such as The Prodigy’s "Spitfire," from Always Outnumbered, Never Outgunned (16/44.1 AIFF, XL), a punchy track that begs to be played loud (and features the voice of actress Juliette Lewis), this manifested itself in the form of drum work and heavy electronic beats that lacked bite and authority. That said, bass extension down to 50-60Hz sounded quite believable, and the 5Ts played admirably loud, remaining commendably composed as the volume continued to rise. A few weeks short of receiving for review Definitive Technology’s BP-8020ST bipolar tower speaker ($1198/pair), I resorted to comparing the Aperion Intimus 5T with Audioengine’s smaller and less expensive 5+ ($469/pair). This bamboo-finished bookshelf model actually has a nicer finish than the Aperion’s Medium Cherry, but I found the 5+’s finish to be exceptional for its price. The 5+s also produced slightly deeper and more authoritative bass, but this was likely due to their built-in amplifiers. Other than that, the Aperion was the superior loudspeaker in every way. It cast a larger, deeper soundstage, was more articulate across the audioband, and could play more loudly and cohesively when pushed. While GoldenEar Technology’s Triton Three ($2000/pair) produced substantially more bass and a more refined overall sound than the Aperion -- at more than twice the price -- I was surprised that the 5Ts produced a similarly wide soundstage that extended almost as deeply as the GoldenEars’. Big sound from an appreciably smaller loudspeaker. I made a mistake with Aperion’s Intimus 5T loudspeaker that I won’t make again: I judged it, harshly, before giving it a chance. It’s an attractive and thoughtfully designed package that purports to be nothing other than what it is. 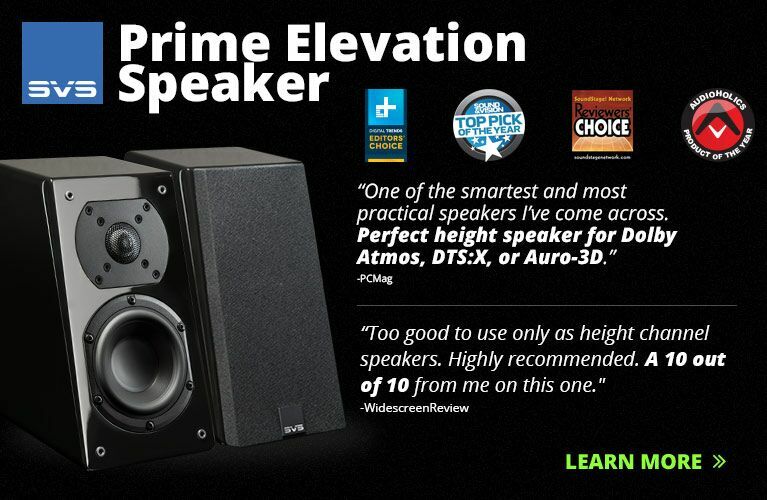 It forgoes deep bass to focus on producing an expansive, evenhanded sound with admirable imaging. 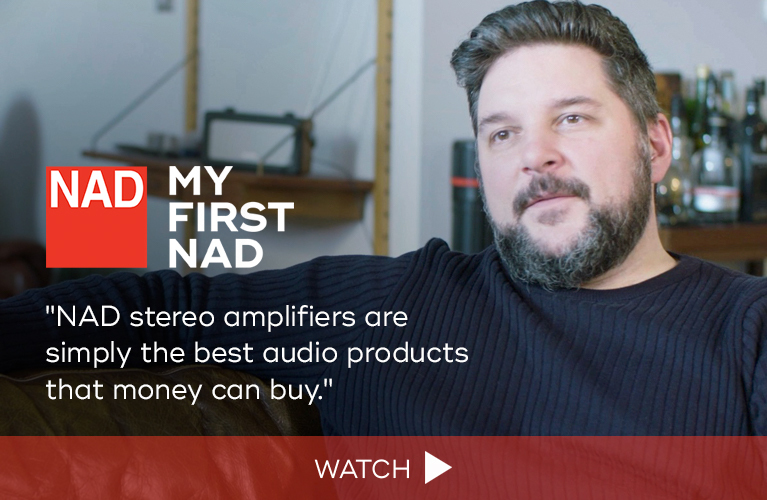 And with its ten-year warranty on drivers and 30-day guarantee, with free shipping both ways, the interested listener can sample a pair without risk. Bearing in mind Aperion’s return rate of less than 5%, the odds heavily favor the 5T making only a one-way trip. Price: $790 USD per pair. Warranty: Ten years on drivers; five years on cabinets.